B1843. 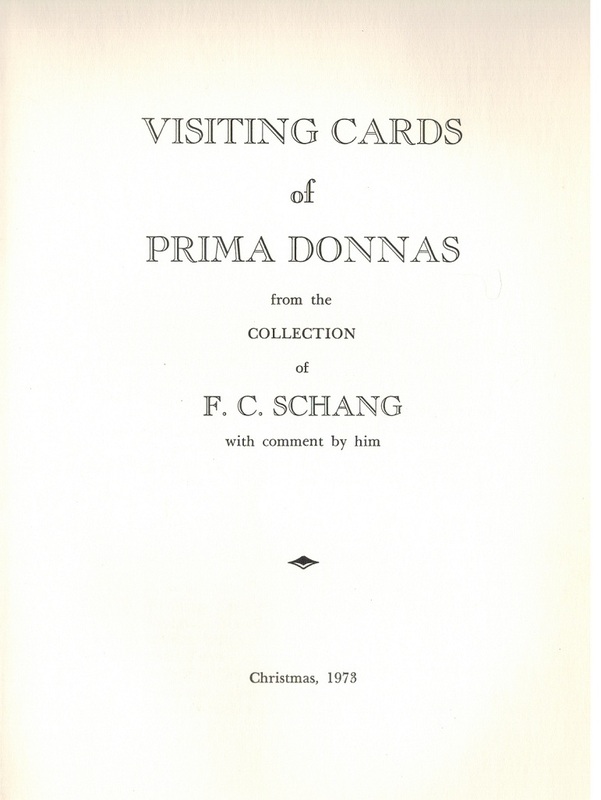 F. C. Schang. 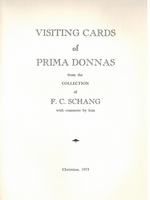 Visiting Cards of Prima Donnas. Probable First Ed. - Stuart, Florida, Southeastern Printing, Christmas 1973. 79pp. Profusely illustated with photographs of the divas as well as their visiting cards. 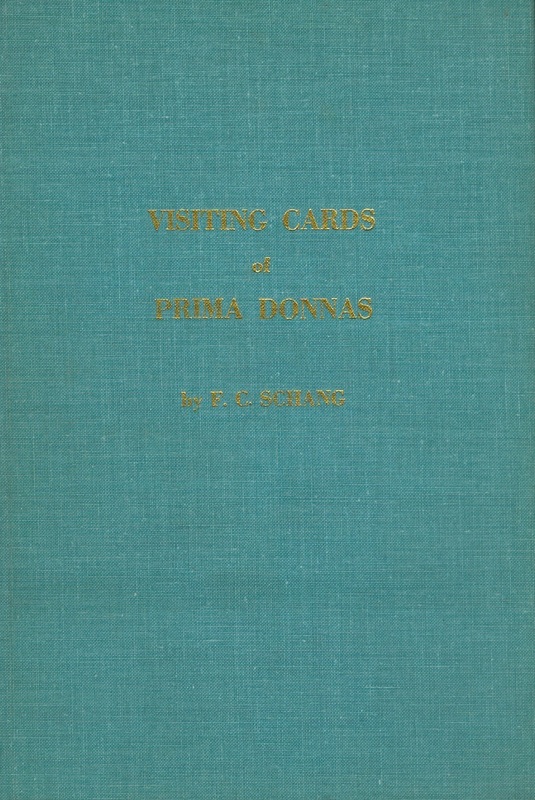 Blue buckram over hardcover boards, with gold lettering on spine and front cover, with photographs of the Prima Donnas on the endpapers. Profusely illustated with photographs of the divas as well as their visiting cards.